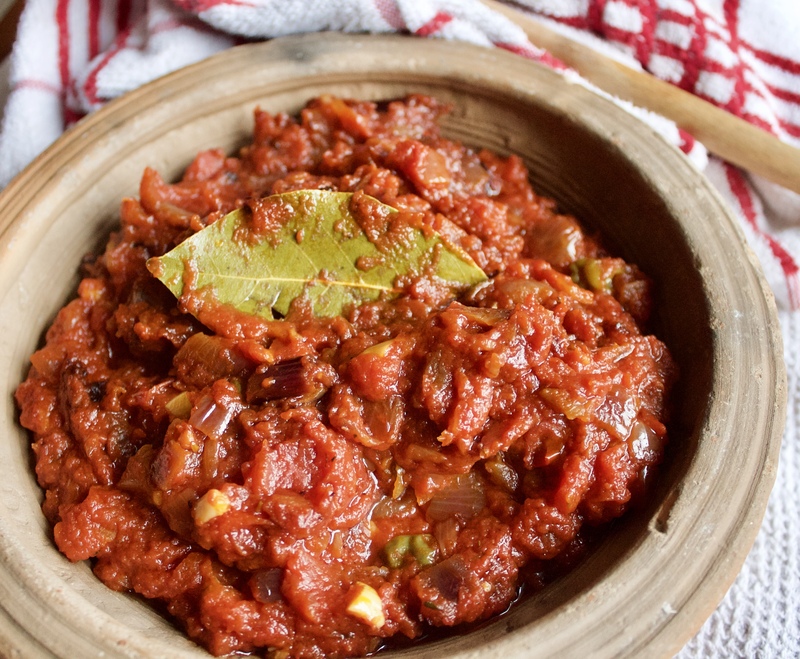 Ghanaian tomato stew is the foundation of most of our traditional dishes. It was the first dish my mother taught me how to make and it is a dish that I have found a way to “healthify” over the past few years. There is no standard way of making the stew as everyone has their own version. Some like the stew chunky with loads of onions and tomato pieces and others prefer a smoother version. 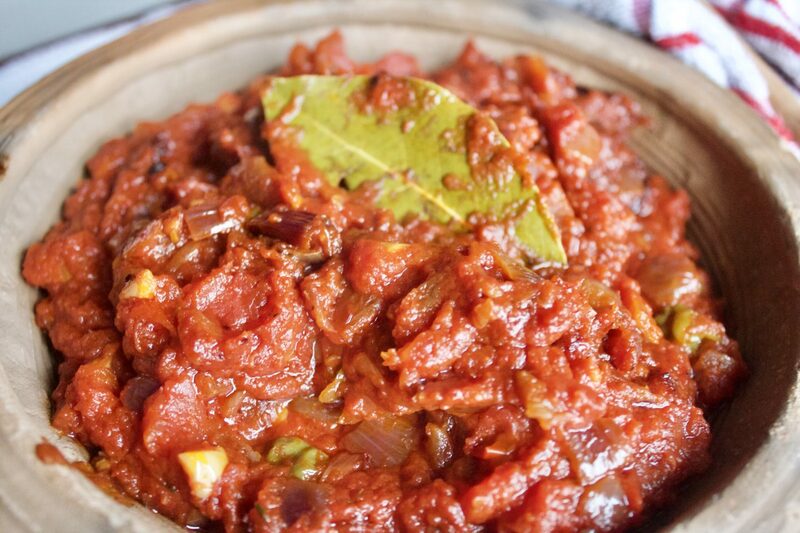 The best thing about Ghanaian gravy is that it can be turned into any stew you like whether chicken, beef, fish or vegetable stew. It is also used as the base of jollof recipes. I, personally, prefer the chunky version of the stew and I make it with less oil than usual. In particular, I use oils under the unsaturated fat group such as peanut oil, olive oil or rapeseed oil. (Unsaturated fats are liquid at room temperature). Ghanaian stew is basically deep fried in oil but as gravy is eaten almost everyday in a Ghanaian household, I decided to adapt my recipe by using less oil than normal without compromising on the taste. This way, I ensure that I am controlling the amount of fat entering my body. This is a simple, everyday adaptation that goes a long way into ensuring that you are not overindulging. In my recipe, I used red onions instead of white onions to add some an extra sweetness to the recipe as well as a unique blend of spices and seasonings. You can also adapt the seasonings according to your personal preferences. Of course, a Ghanaian gravy is nothing without some pepper. 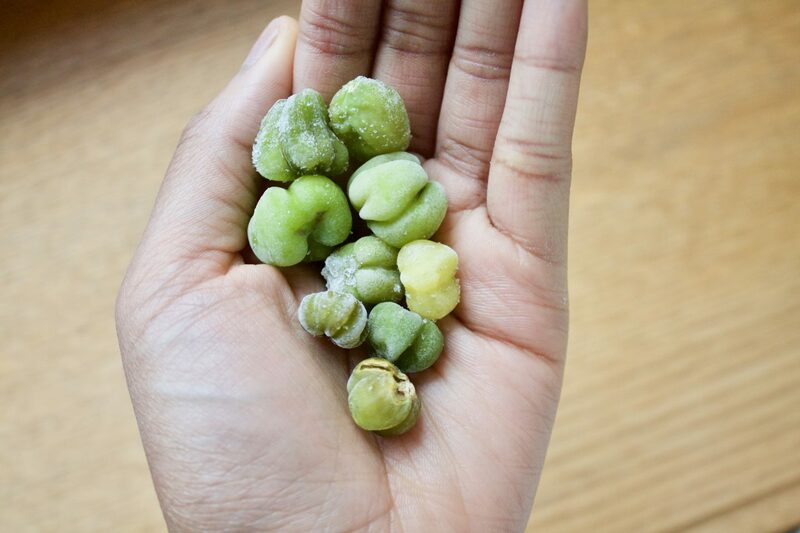 One of the key features is the kpakpo shito pepper, (local green pepper) that I have recently started to feature more and more in my recipes. The recipe is also completely vegan and gluten-free but you can adapt it to your taste by adding chicken seasoning which is what I did. 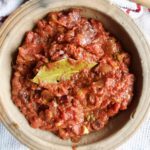 If you are looking to achieve a healthier lifestyle without compromising on your favourite Ghanaian foods then using this recipe is a great way to start. Without further ado, here is my recipe! Chop your onions into small pieces. On a medium fire, add your oil into a deep pot and add your onions. Stir occasionally until softened. 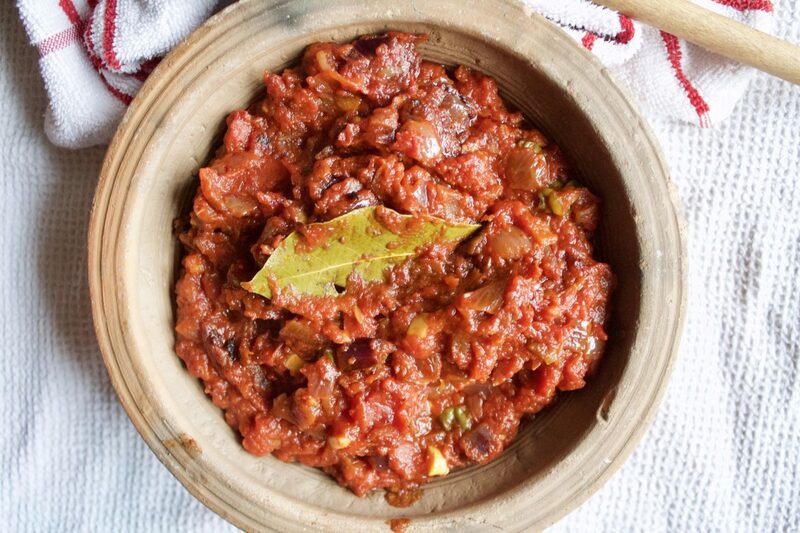 Add your tinned tomatoes and the rest of the spice mix, apart from the bay leaf, to the pot. Leave to cook for 25 minutes with the lid on, stirring occasionally to avoid burning. In the last 2 minutes, add your bay leaf. Serve with brown rice, quinoa or your favourite carbohydrate and enjoy! I hope you liked this recipe and I certainly hope you give it a try!